Israeli Prime Minister Benjamin Netanyahu has said a long-dormant Arab peace initiative with the Palestinians that he has spoken of reviving must be changed before Israel can support it. 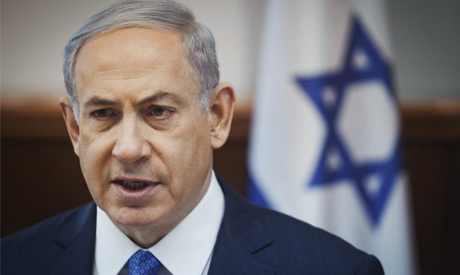 Netanyahu made the comments on Monday night to members of his Likud party, Israeli media reported, after facing pressure from rightwing members of his cabinet over his recent comments on the Arab initiative. Members of the religious nationalist Jewish Home party who hold key positions in Netanyahu's cabinet oppose a Palestinian state. "If the Arab nations grasp the fact that they need to revise the Arab League proposal according to the changes Israel demands, then we can talk," Netanyahu said, according to the Haaretz newspaper, which cited two sources at the meeting. "But if they bring the proposal from 2002 and define it as 'take it or leave it' -- we'll choose to leave it." Late last month, Netanyahu spoke of the Arab League-endorsed proposal that dates to 2002, saying it "includes positive elements that can help revive constructive negotiations with the Palestinians." But some analysts questioned whether his comments were a bid to fend off international critics over his appointment of hardline Defence Minister Avigdor Lieberman and his strong opposition to a French peace initiative now taking shape. The Arab proposal essentially calls for Israel to withdraw from the occupied territories and resolve the issue of refugees with the Palestinians, leading to the creation of a Palestinian state, in exchange for normalised relations with Arab countries. According to Israeli newspaper Israel Hayom, Netanyahu also told fellow Likud members that "the Arab initiative includes positive elements." "But it is clear that it must be updated in order to take account of changes that have occurred in the region in recent years," he said. Haaretz reported that Netanyahu said the plan's "negative elements" included what he described as the return of Palestinian refugees and the demand that Israel retreat from of all lands occupied in the 1967 Six Day War. Arab League chief Nabil al-Arabi dismissed Netanyahu's comments and said Israel cannot seek the benefits of the proposal before making concessions. "Those comments are completely rejected because the Arab initiative has a precise philosophy and a specific order," he told journalists in Egypt. "Some suggest that the Arabs should first meet their obligations so that Israel can consider fulfilling its commitments, which is unacceptable." Then do what's always done before peace problems find a solution: both sides make concessions simultaneously. ...and then concede what's necessary for peace SIMULTANEOUSLY (that's how problems ALWAYS find a solution, more's not needed). Netanyahu must get with the program.